"Well organized, iconic DFW race!" This was my first Cowtown Marathon (I ran the Half) and I will DEFINITELY be doing it again. 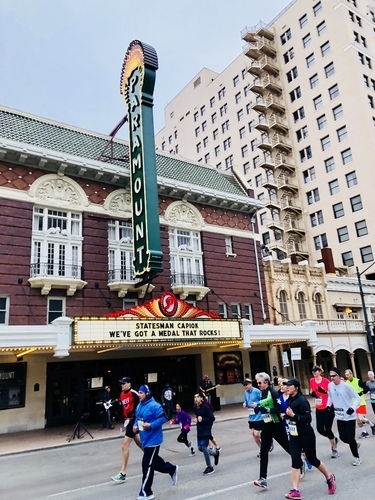 The Cowtown Marathon series offers a variety of distances including a Challenge (race both days ) - which I would've done if it was closer to home (I live in Dallas about an hour away). Saturday races include a 5K and 10K, Sunday includes a Half and Full Marathon as well as an Ultramarathon. Packet pickup was easy for me - I signed up under a team and if there are 25+ in the team, the captain picks up the entire team's packets and distributes them. So I actually got my bib the week before (the way to go if you can!). I did miss out on the Expo, though, which looked like a good time. It was in a big space, had some nice photo ops (best part of an Expo) and looked well-organized. Race communication was great - I received email updates along the way and the race website has a lot of detailed information about parking, race day, maps, etc. I knew exactly where I wanted to park per the website (there are free lots as well as paid lots). I parked and walked to the Start line with no problems at all. 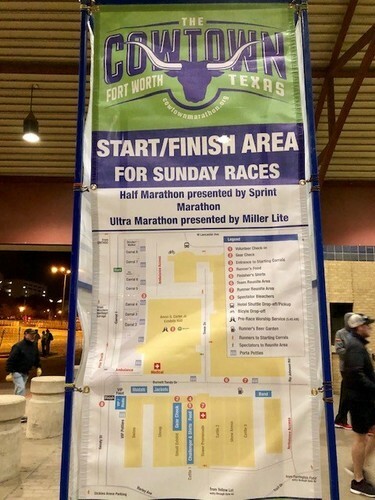 LOVE that there was an indoor area that we could hang/stretch pre-race and there were many corrals so that this large race could run smoothly. The corrals were well organized and the Start went smoothly and was right on time. We were off! The course was nice - we got to run through the Stockyards - montly pavement with some area of laid brick. The elevation I would say was challenging. The hills are towards the end (miles 9-13) making it a tough finish but a nice challenge. Nothing that would keep me from running it again but maybe don't use this as a PR course. It's definitely possible but just something to keep in mind! The weather was perfect, race finish went smooth - we got our medals and were directed towards an indoor area with a finisher's shirt, some chicken noodle soup in a cup (REALLY hit the spot), other snack goodies, and another nice photo op in front of the Cowtown Marathon bell. Getting back to my car was easy and I knew right then and there I'd be back next year! Thank you to the 4,000+ volunteers, Mayor of Ft. Worth for being there, and race directors for putting on a great event. I will be back and definitely recommend this race. I first ran the Tulsa Run last year with my dad. We drove from Dallas (about 4 hours) and decided we'd make it an annual tradition. The course is nice and scenic, the race is well-organized, and we always have a great time. The expo is at the Cox Business Center, a beautiful building in Downtown Tulsa, OK. The expo is not HUGE, but there are enough vendors to look around and do a little shopping if you want. They also have lots of cool Tulsa Run historical items and statistics set out that are really cool to look at. They even have a guy there who will play you in Checkers - if you win you get a $25 gift card to the running store booth! One of the booths had a bunch of various clothing items that you could get screen-printed whichever "Run Tulsa" logo you wanted, which was really cool! The packet pickup is a breeze. Just takes a minute to get your shirt and bib. I did the "double" - 5K and 15K, so I got a hoodie and a long sleeve. They are both really nice quality and really unique. The hoodie is for the 15K and is always really cute and a nice light weight. It's the only running "swag" I actually wear! Race morning is perfect - we just walk to the Start line and everything runs smoothly. The start was on time, nice weather, plenty of porta-potties. There's a nice area to warm up, not overly crowded but lots of friendly faces and great energy. The course is nice and scenic. It's decently hilly - I'd say easy "rolling hills." Overall I like the course. Everyone is happy, the energy of the race overall is great. Afterwards, you get your medal (HUGE medals), a banana, water, candy, and a sandwich! I LOVE that they give you a sandwich, because the 15K starts at 9:00am so we were hungry and practically ready for lunch by the time we finished! There's also an area where you can get a massage, various food trucks, a beer booth, and an area with tables set up where you can have your sandwich and hang out. Overall I highly recommend this race. We drive a total of 8 hours for the experience every year so yes, it's worth it! Thank you to all Tulsa Run race directors and volunteers! The Capitol 10K in Austin, Texas is simply amazing. It was recommended to me by a friend from Austin (I live in Dallas) so I decided to make a weekend trip of it. She made it sound worth the 3 hour drive there and back - and it was! I drove down on Saturday and wend straight to the Expo at the Palmer Events Center. It was a nice, big, convention center. The Expo was perfect - exactly what I like from an expo - lots of space, easy to pick up your bib and shirt, then lots of vendors (and free stuff!). The vendors were great and had lot of samples, there were little spots where you could take a bib photo, and lots of friendly people. Parking/access was easy enough for the Expo and the hotel was just down the street. Swag was great - a tech race shirt and the medals were neat. They also had BOGO race shirts after the race that had a map on the back. I loved those! I stayed at one of the race-recommended hotels at the special rate - the Hilton Garden Inn Downtown Austin/Convention Center. It was super fancy for me so it was a good time! I wish it included breakfast but there is a $15 all-you-can-eat breakfast buffet so I opted for that after the race. I got there around 7:30-40 and race Start was at 8:00am for corral A (10 minutes between corral Start times). This gave me plenty of time to warm up, take pictures, and soak in the gorgeous view. The Start is right on the Ann Richard's Bridge. Gorgeous. The entire course was very scenic. Time flew and I wish I could've just taken pictures of everything. It was really beautiful and unique. I was so glad to be there! The weather was nice (40 - a bit chilly but perfect for running!) and everyone was just happy. The course WAS hilly. Just enough for a challenge but not enough for me to say I'd never do it again. Just be prepared. They do have a "King and Queen of the Hill" challenge and award that I might attempt next time! Pretty cool. There were over 20,000 runners registered for this race and I can totally see why. The organization is exceptional, great volunteers and vendors, unique city, and overall just a really fun weekend. I highly recommend this race! 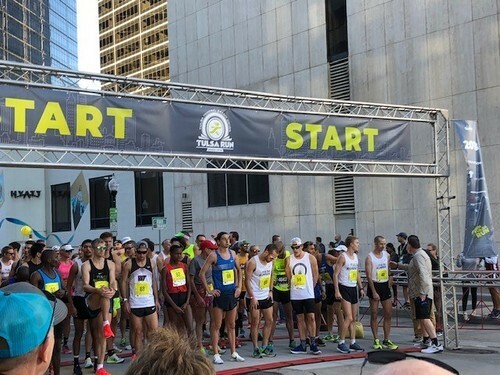 The Dash Down Greenville is an iconic race in Dallas. It's a must. Stay afterwards for the Greenville Parade for the full experience! 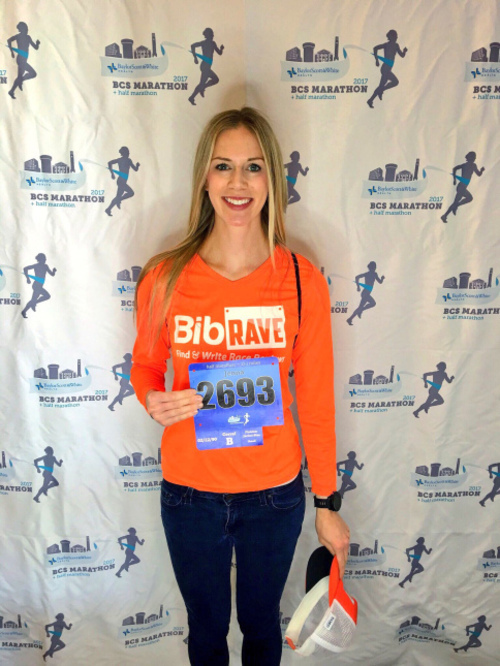 Race communication is great - you know exactly when and where packet pickups will be - local running stores and Orange Theory Fitness centers, so multiple convenient locations and even an "early" packet pickup is available a week prior. Pickup is quick - in and out with your bib and T-shirt (no vendors/expo). This is nice sometimes though, as big expos can be a major ordeal. Race day runs nice and smoothly - I recommend taking public transportation because of the area and # of people. I LIVE in Dallas and have never, ever driven myself to this event. I just would not do it. Riding the DART or an Uber is super easy though! Once you're there, the Start and Finish line is right next to a Central Market, so coffee, post-race breakfast, anything you want is right there. The run is nice, through the Greenville neighborhood with one hill (around mile 2? ), nice volunteer support, porta-potties, Two-Men-And-a-Truck take care of Gear Check which is easy and painless, and there are lots of "Irish" people out and about cheering you on. As the morning goes on, more and more shenanigans come afoot and the party starts. I highly recommend making this a Dallas tradition or making a trip to Dallas to experience this day. Don't plan anything for the rest of the day, wear green, and put your party pants on! "Great race to cheer or run!" I registered for this race but was "injured" so I opted to cheer. I still partook in the expo and race day (as a cheerleader) so I still wanted to share how it went from a little different perspective! I have run this race (2017) also. The race communication is great - you get emails with updates and important information ahead of time. The expo was the Friday and Saturday before the race on Sunday at the Dallas Convention Center. I drove and had no problems getting downtown or parking. It was a gorgeous day so I enjoyed the walk to the convention center from the parking lot, which wasn't too far, but wear your comfy shoes. The expo is just what you'd expect from a Rock n Roll race - very well organized, large, and lots of helpful volunteers. I picked up my bib and shirt with no problem and very little wait. Then you enter a large area of vendors. The Brooks/RnR are is first with anything you could ever possibly want with the Rock n Roll logo on it. I usually put my blinders on at this point! Then there are various vendors with samples and things for sale. Everyone is having fun and taking pictures and it's a good time. You could be in and out if you want, or you could spend hours there. Race day went smoothly. I took an Uber downtown (I recommend Uber-ing or taking DART if possible due to the large amount of people - if you drive allow for extra time and bring cash for parking just in case). I went to the Majestic (around mile 3 of the half marathon course) and cheered with a group of friends. It was great. I definitely recommend this race. It's a BIG race. Well done, well organized, a lot of people. It's fun to be there and it's fun to cheer! If you don't mind a few hills and the (high) possibility of a hot, humid day, I say go for it!